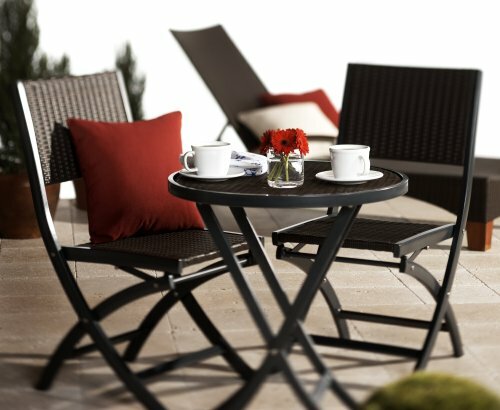 Subtle elegance and utmost comfort will provide an enjoyable dining experience for you and your guests. 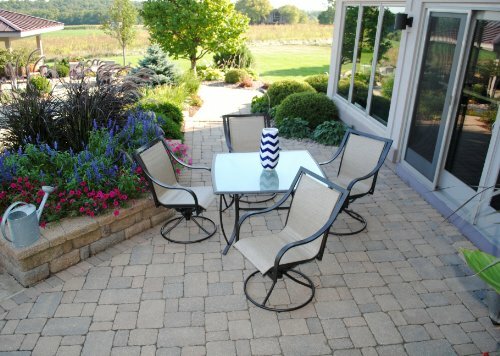 Four, weather-resistant sling swivel rockers complement a square dining table with an attractive textured glass top. 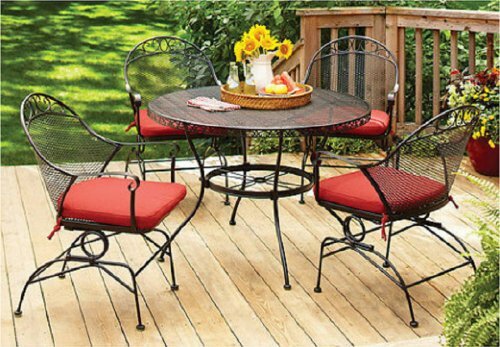 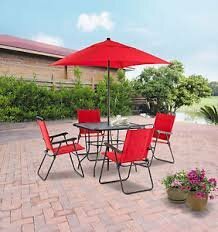 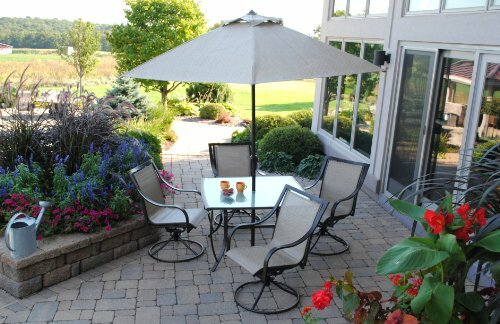 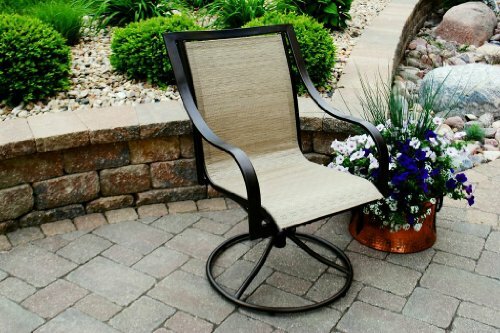 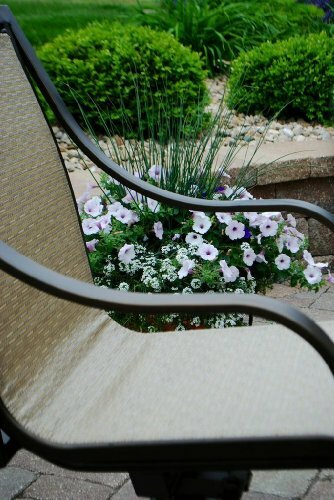 The heavy-duty, powder coated steel frame provides durability, while the swivel rocking motion will allow for relaxation. 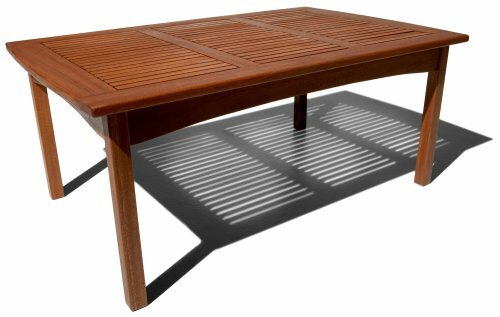 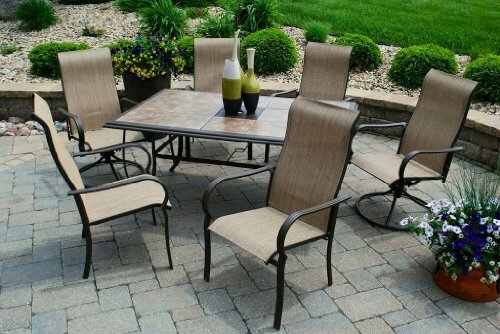 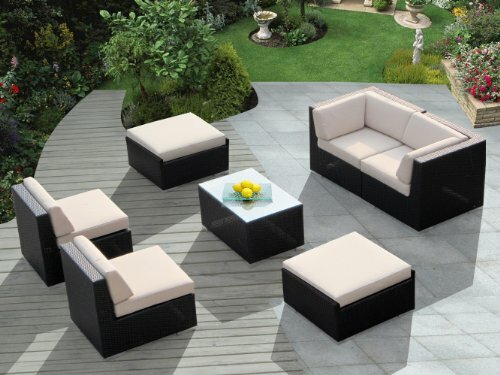 A wonderful addition to any outdoor space, the Savannah collection will enable you to dine and gather with ease.